Kakatiya University Graduate Degree Results for BA, B.Com, B.Sc, and BBM were announced today, 24th July on KU Official website, Kakatiya.ac.in. Aspirants gaining education from the University can hurry up to Download results, marks, and grade. The KU BA, B.Com, B.Sc, BBM results are accessible to download for the 1st year, 2nd year, and 3rd year. Candidates can check the Kakatiya University UG Results 2017 for all streams and branches. Students can visit the Kakatiya University official portal right at this movement to download the results. Go through the article to check more information about Kakatiya University UG results 2017. Kakatiya University is one of the oldest universities of Telangana state functioning since 1976. This University offers various Degree and PG courses for students. Annually lakhs of students pass out with certification from this university. The main campus of Kakatiya University was situated in Warangal. A huge number of private and government colleges in the state are affiliated to Kakatiya University, the university offers various UG and PG Courses and also conducts the academic examinations in March-April months every year. The results will be announced in June-July months. The Kakatiya University has done with the conducting of UG examinations in April/ May months this year. Nearly 20 lakh hopefuls pursuing various Graduate Degree courses have taken the examinations this year. Candidates attempted the Degree Examinations such as B.Com., BA, B.Sc., BBM can check the results for all years. Students those have not got the satisfactory marks in the exams can apply for revaluation/recounting as per their interest. The University shortly announces the revaluation/recounting dates and also the subject-wise fee to be paid for each paper. Students those have failed in the examinations can apply for supplementary examinations. The supplementary examinations will be held in August/September months. The KU Degree Supplementary Timetable 2017 will be released shortly. Candidates can stay visiting the KU official portal, Kakatiya.ac.in for latest notifications and updates from the university. Candidates can check the KU UG Results 2017 from the other popular result portals such manabadi, schools9, and others. Students may not access their results from the official portal due to huge traffic. Hence students can go to alternative portals to check their results. 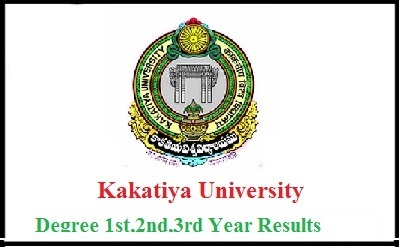 The Kakatiya University Degree result, marks, appears on the screen.